Josh Freeman only played two series. One of them ended with a field goal. He finished 4-of-7 for 34 yards. Rookie Mike Glennon got most of the work. He threw for 169 yards and an interception. After his first completion was good for 61 yards, he looked like…well, a rookie…for the rest of the night. 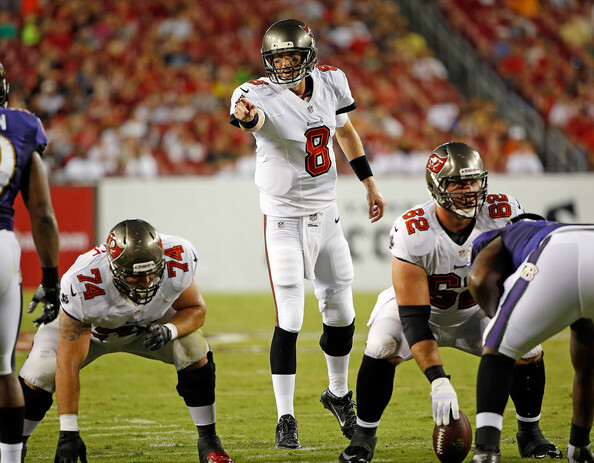 Glennon is battling for the backup QB job with Dan Orlovsky. The starting defense played fairly well. Lavonte David had a sack. Danny Gorrer had a pick. Darrelle Revis did not play. I can only hope he’ll be ready for the season opener against the Jets. Derek Dimke was a perfect 3-for-3 on field goals. This position has gotten a lot more attention after the Bucs lost Connor Barth for the season. Dimke is battling Lawrence Tynes for the starting job. Tynes did not play. Special teams were awful. There was a muffed punt by Chris Owusu. Chas Henry had a punt blocked in the end zone. Both led to Baltimore touchdowns. In all, the Bucs committed four turnovers. And while the starters were out of the game for most of the mistakes, they are still troubling for Greg Schiano. The Bucs face the Patriots next Friday night in Foxboro.